← Special Pentax Promotion! Hurry! 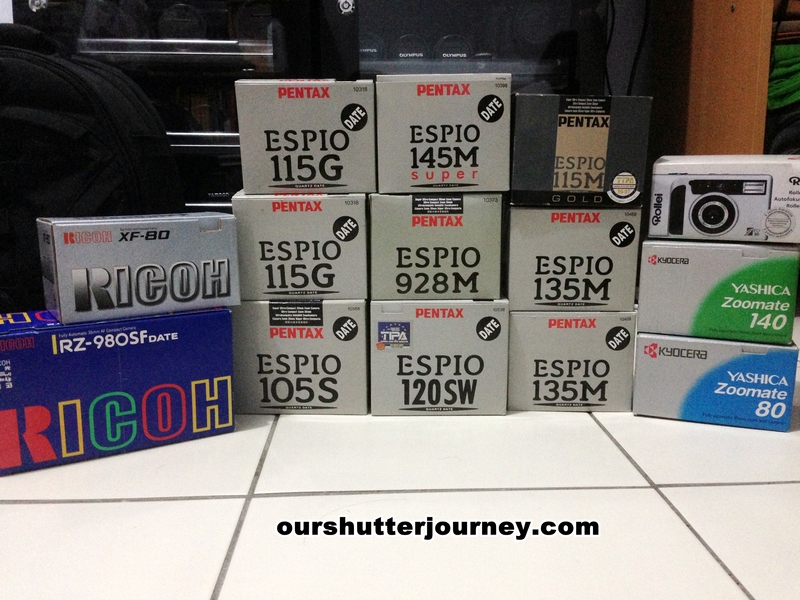 06th August 2013, Singapore – Ourshutterjourney.com had came a long way. We would not have travelled this far without the supportive members, followers, photography students, friends, brand owners, associate dealers & vendors. In appreciation for everyone’s support, we are giving away 14 Brand New Unopened 35mm Cameras! Mind you, way before the digital era, these are the monsters of photography. Solidly built, powerful, and made to last a few decades – and they don’t make cameras like these anymore! Photo: 14 Collectors’ Camera to be given away! A quick check on Amazon & ebay reveals that people are still snapping up some of the above cameras for as high as USD $590 (correct as of today)! It is then that I realized that these are in fact Collectors’ Items now! Some of the above like the Rollei, the Ricoh & Yashica are even considered as cult cameras now! Now – here’s your chance to own it! For the first Giveaway – Read the Steps below to enter! 3) Email your passage & closing to sjscontest@live.com by 16th August 2013 midnight. 4) The best passage + closing line wins a camera from above (we will decide) and we will publish your article! So start writing guys & gals! You have a week to do it! This entry was posted in Photography Contests and tagged SJS Contest. Bookmark the permalink. 4 Responses to The ourshutterjourney.com Appreciation Giveaway!